A lot transpired during the 2014-15 for the New Jersey Devils, and most of it wasn’t good as they finished with their worst record in over 20 seasons. Legendary goalie Martin Brodeur was gone from the franchise before the season even started, other players were traded away, suffered career-ending injuries or left the team for Europe and coach Peter DeBoer was fired in December after being unable to replicate the success of his first season in New Jersey (2012) when they fell two wins short of the franchise’s fourth Stanley Cup. 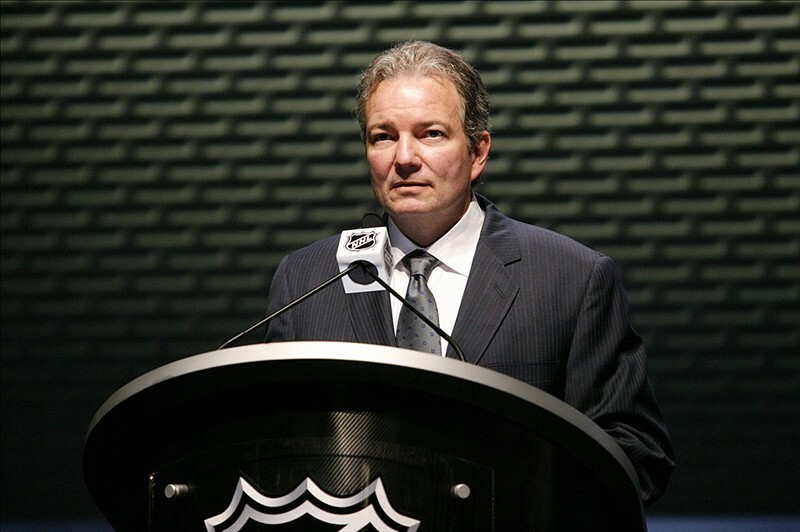 Perhaps the most shocking move that transpired was after the season ended when on May 4 Lou Lamoriello (who was with the team for 28 seasons as GM) stepped aside and hired Ray Shero to guide the franchise back to the promised land. Lamoriello took a back seat, retaining the title as team’s President, until July 23 when he resigned from that position to accept the GM job with the Toronto Maple Leafs. Now it is Shero (without anyone hovering over his shoulder) that is tasked with rebooting a team that has missed the playoffs in three straight seasons/four of the last five, and little by little he has been putting his stamp on the Devils — which started with the hiring of head coach John Hynes. Coach Hynes was behind the bench for the Wilkes-Barre/Scranton Penguins (a position that he was hired for when Shero was GM of Pittsburgh) most recently and will be entering his first campaign as an NHL bench boss. Entering his fifth full season with the Devils Henrique will be expected to take that next step, not only on the ice but off it as well. He will certainly be a candidate to fill the vacated role of team captain and he should push Travis Zajac to become the top-line center. The 25-year-old is already a cult hero among certain pockets of the fan base (see: 2012 East Finals), but more importantly after back-to-back 43-point seasons he will need to exceed that number as well as the 51-points he tallied in his rookie season if New Jersey is hoping for a return to the playoffs in 2015-16. His career-high goal total is 25 and for assists it’s 35; if he can put up 60-points this year it would go a long way making the Devils competitive again. He will also need to continue to be a key contributor on both sides of special teams this season. After being unable to secure a long-term contract with an NHL team this summer, Tlusty inked a one-year deal ($800, 000) with the Devils on the eve of training camp; he likely will slide into a spot among the top-6 forwards. 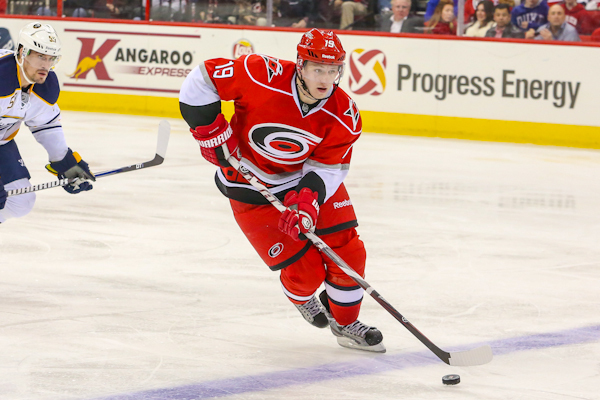 Last season (split between Carolina and Winnipeg) the 27-year-old registered 14 goals and 31 points in 72 games. If he can match his career-high in goals (23 in 2012-13) the Devils, and their fans, may start doing backflips (and recording them + posting on social media) for such a late addition to the roster. New Jersey hasn’t been able to add that true, top-6 scoring talent that they desperately crave this offseason — but acquiring Kyle Palmieri and Tlusty were two low-risk/high-reward moves that could help move them out of 28th in the NHL in goal scoring. As a 20-year-old rookie Severson started last season like he was Al Iafrate or something, tallying seven points in his first ten games. Then he admittedly hit a bit of a wall, followed by a foot injury, which limited him to just 51 games (5g-12a). Now as he enters year two, more responsibility will be placed on the even-keeled blueliner’s shoulders — which started during the team’s rookie camp in which he was brought to as a leader (even though a few players there were older than him). This season Severson’s progression will be key to any successes the team will have as he will be needed to be a force night in and night out on the power play and as a (likely) part of New Jersey’s second defensive pairing. Sit down interviews with every Devil this morning. Favorite answer thus far from Damon Severson: "Let's be this year's Calgary Flames." The former fourth overall pick (2011 NHL Draft) took his game to another level last season and was rewarded in the offseason with a shiny, new contract that will keep him in red and black for the next six seasons. He and veteran Andy Greene became the top-pairing after DeBoer’s dismissal and the two will be accepted to pick up right where they left off following the Devils’ final game in April. Larsson’s confidence is now at an all-time high and it was evident during some of his post game interviews that he isn’t the same sheepishly-shy kid that he was a few seasons ago. All good news for New Jersey who’s patience is now being rewarded with the former top-five pick’s evolution. More evidence of how he has grown in the tweet below which came from the first day that veterans reported to training camp — he wants to be part of a contender. 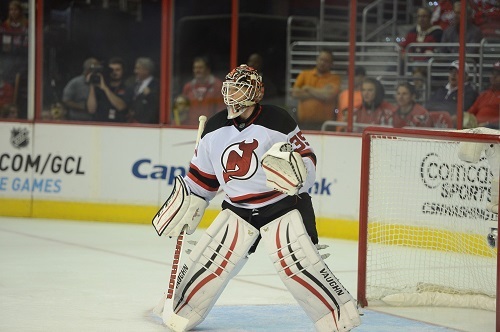 After inheriting the crease in New Jersey from Brodeur, Schneider played in 69 games last season — his first as a full-time starter. The results were mixed, but there is no question that the 29-year-old can be an elite goaltender in this league if the rest of the team in front of him gets their act together. Statistically his numbers were solid last season and hopefully with a more potent lineup this season they can be a smudge better and he can guide the Devils back to the playoffs for the first time since 2012. But it will be tough in a division that saw both New York teams, Pittsburgh and Washington all qualify for the postseason, with a healthy Columbus and a retooled Philadelphia also in the mix. Up until last season Schneider had been partners in the crease with elite NHL netminders, first Roberto Luongo and then Brodeur. Now with a full season as a starter finally behind him perhaps he can get into a groove and focus completely on his job and his job only — not worrying about any of the other behind the scenes stuff that may or may not have been in his head last season. Keith Kinkaid will be a nice compliment for him and should be able to be serviceable enough to play in about 20 games to keep Schneider fresh ‘IF’ New Jersey can make it to the playoffs. There’s no way to predict what will truly happen this season in New Jersey with a new GM, a new coach/coaching staff, a new philosophy, a new system and at least four-to-five new players on the roster. In the past there have been numerous players that came through the Devils organization and never lived up to the backs of their hockey cards — often underperforming from what they were accustomed to with other teams. Perhaps all that changes now with Shero in charge of assembling this team from here on out. Perhaps the players will be a tad looser now with the loosening of certain rules that were in effect with Lamoriello in charge. There is only one player left on the roster (Elias) that was a member of a Stanley Cup team in New Jersey now — if you ever needed more evidence that there have been sweeping changes. The only other championship links that are still part of the organization are all wearing suits now: Chris Terreri (goaltending coach), Sergei Brylin (assistant coach in Albany), Ken Daneyko and John MacLean (analysts on Devils’ telecasts), Grant Marshall, Bruce Driver, Jim Dowd and Colin White (Devils’ alumni association). Change is good though; and the way we see things every player is getting a fresh start. Whatever was done or said before, whatever points or accolades achieved, is all in the past. It’s a new era of Devils Hockey and the mantra for coach Hynes will for his team to be: Fast. Attacking. Supportive. It should be interesting one way or the other to see how things unfold this season.